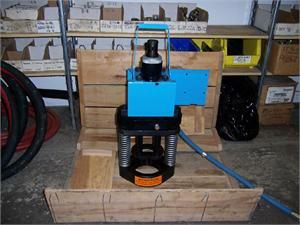 This is a real clean used 1-1/4" one and two wire portable hydraulic hose crimper. Crimp diameters are adjustable. 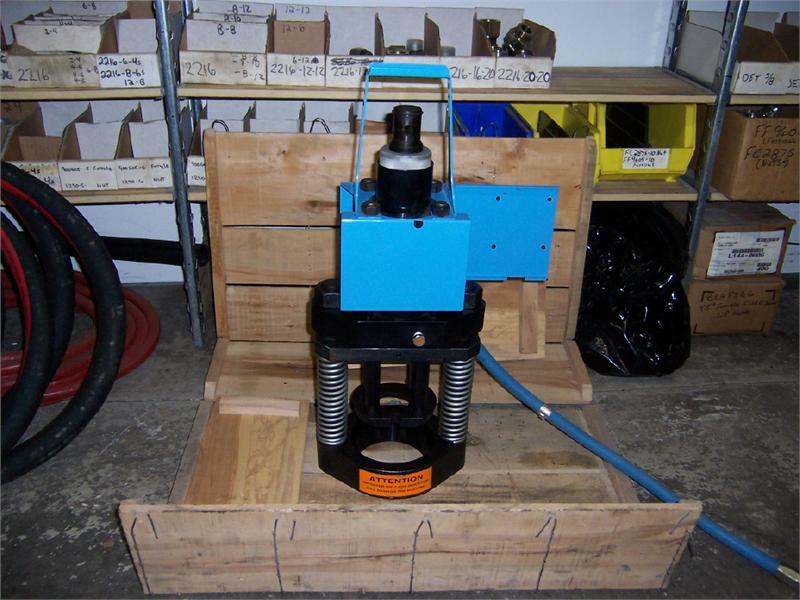 This machine has been used, but is in very good condition. We will include an Operator's Manual with the equipment. 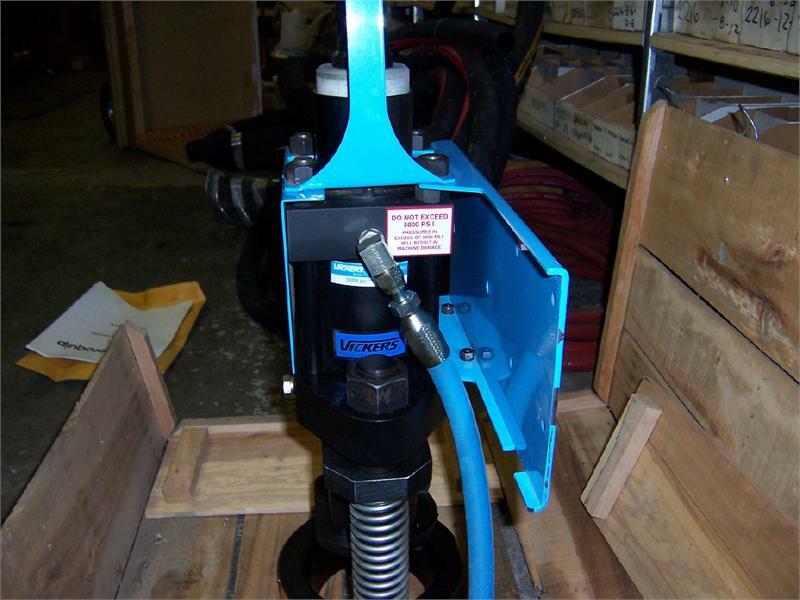 And, Aeroquip has a reputation for making a top quality and highly reliable hydraulic hose crimper. Included is a full set of drop-in caged dies.